TIMBOLIER is the leading innovator in marine propulsion electronics. Our Fuel management systems and dynamic alarm triggers ensure your investment in diesel propulsion will be optimized and protected. The DEWLine engine health monitor is your best protection against catastrophic failure. 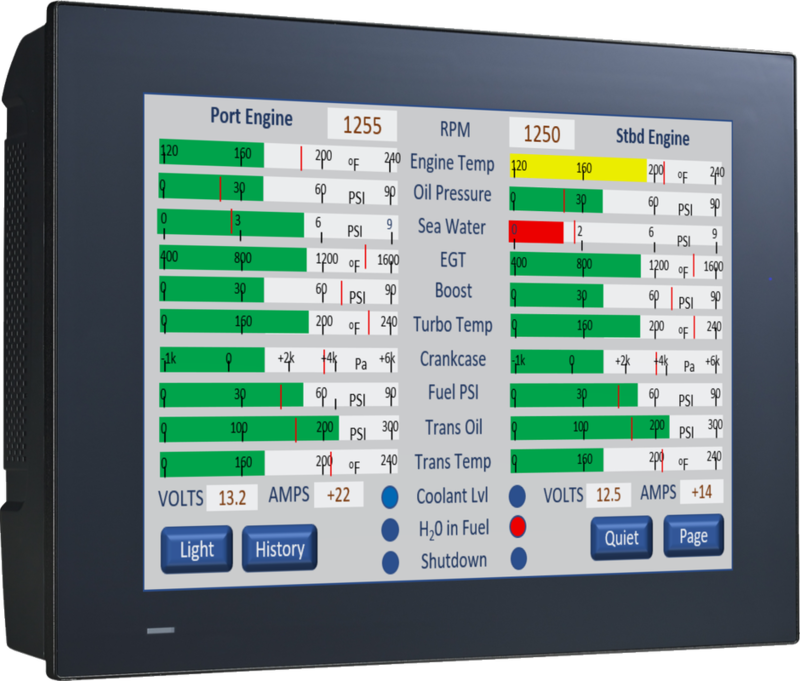 Our powerful sensor gateway converts inputs from 20 sensors on each engine to NMEA2000 for broadcast on your ships network. A configurable alarm module ensures you have ample warning when a parameter starts to creep out of range. Powerful fuel management ensures you're getting optimum efficiency - even from fully mechanical engines. DEWLine's mobile mirroring function allows you to view any screen from a phone or tablet. Local viewing uses the ships wifi network. Remote viewing requires the ship to have a persistent internet connection. 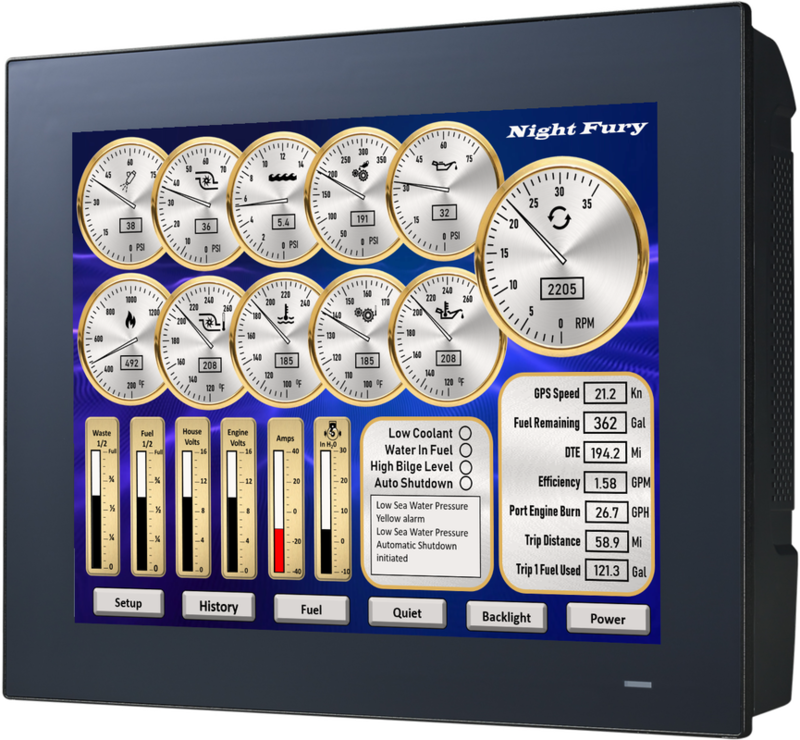 Display any engine reading on your Navigation system MFD. 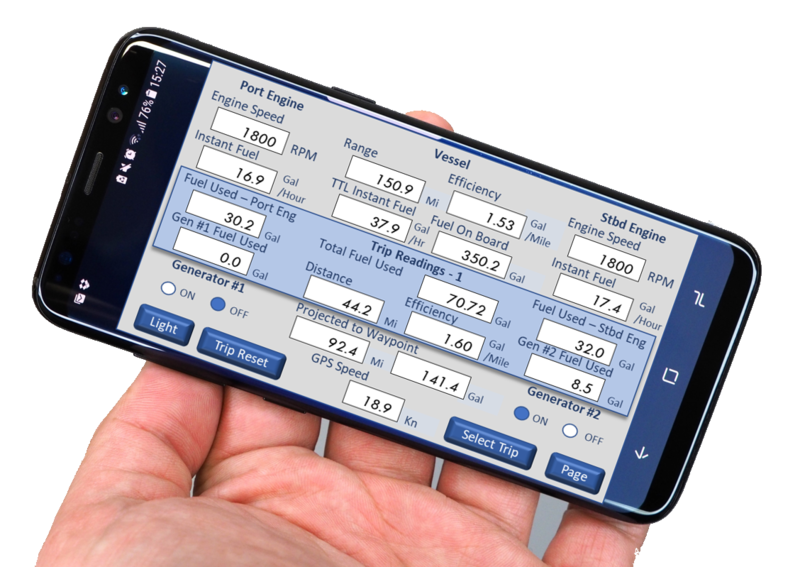 Calculates gallons/mile and distance to empty plus three fuel trip readings. ​Compare performance of any sensor output to baseline. Stores up to 500 hours of engine history. I'd like to learn more about DEWLine.